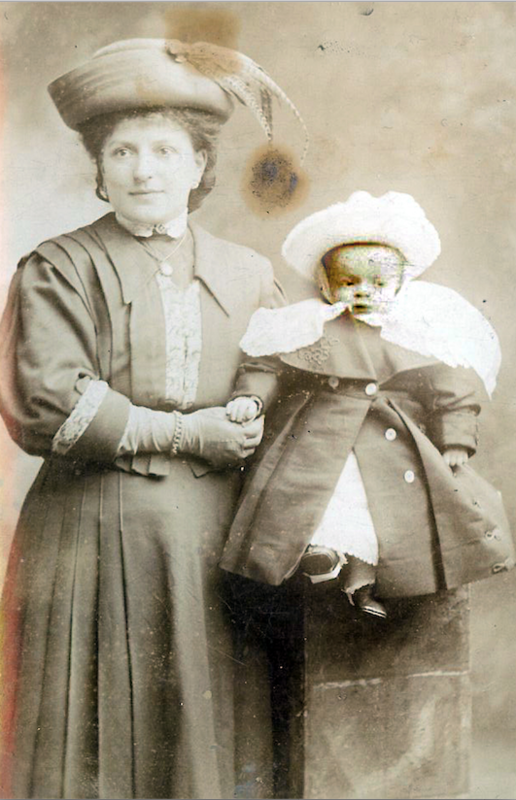 Minnie Brattesani was born in the year 1885 in Paris, France, daughter of Giuseppe Brattesani and Lucia Coffrini. 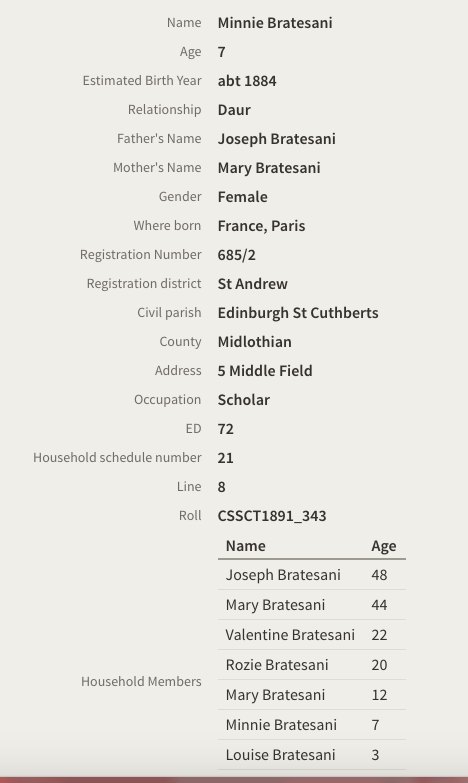 This branch of the family had moved between Borgotora, Paris and Edinburgh as is documented in the Scottish Census entries in the following years. 1891 census entry showing her place of birth.